Bison quarterback Des Catellier throws the ball against the University of Regina Rams on Sept. 23. Manitoba won 18-16. 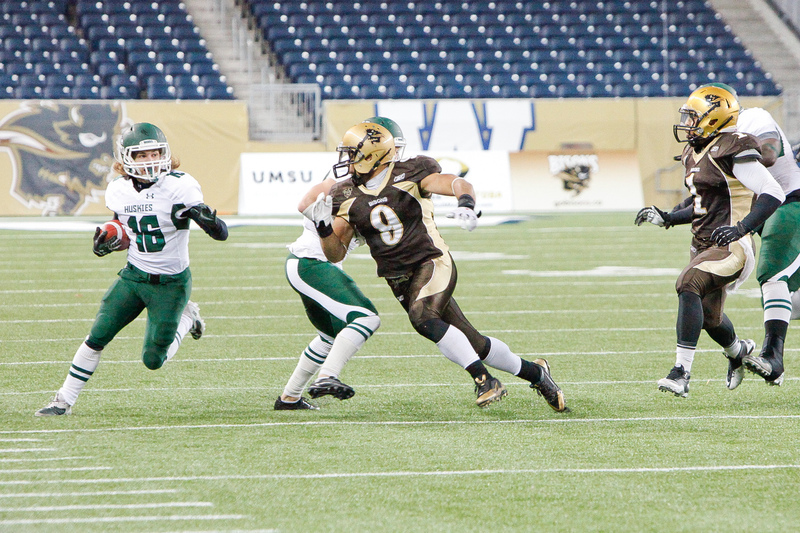 The University of Manitoba Bisons have had a different face under centre for the past two games. Second-year quarterback Des Catellier has called the signals for Manitoba in place of season-starting pivot, Theo Deezar. Catellier has thrown for 449 yards in his two games, including one touchdown and two interceptions. These are not Hec Creighton numbers by any means, but it has got the job done. Catellier was given the start ahead of the Bisons’ Sept. 23 game against the University of Regina Rams, and managed the game well enough to give the Bisons their first win of the year. Catellier got the call the Friday before the game. “The Friday morning day before the game, right before we get on the bus type thing, [I] had a meeting with coach Dobie before and [he] told me they were going with me,” Catellier said. 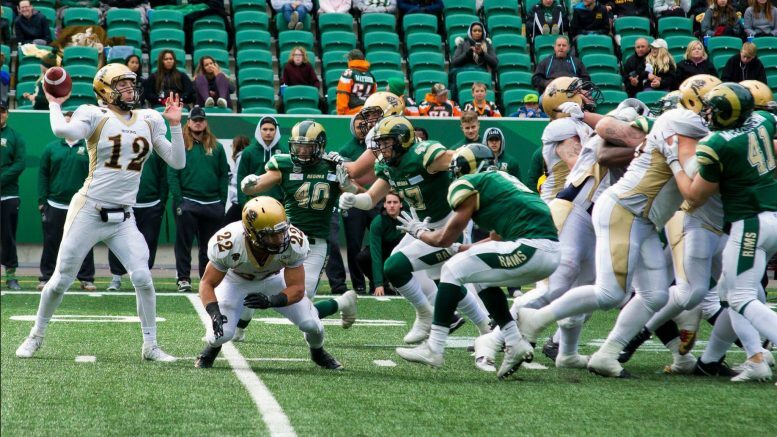 Heading into Regina without a win, the Bisons needed to do something to change their fortunes. With new offensive coordinator Blaire Atkinson calling the shots on the offensive side of the ball, Manitoba’s offence has taken on a much different look from last year. Previous offensive coordinator Vaughn Mitchell had more vertical routes in his playbook, which plays into Deezar’s strengths. Deezar has not necessarily faltered in the new offensive system, having thrown for 678 yards, three touchdowns, and four interceptions in the first three games of the year. Deezar has been supportive of Catellier during his two years with Manitoba, and it has been a big help for the Calgary native.